Customers come first at Indiana Cleaning & Sealing. Our professional technicians have decades of combined experience to safely and effectively service your property. We provide a 7 year roof cleaning warranty, which is the longest warranty in the shingle roof cleaning business. We also provide a lifetime warranty on our epoxy flooring solutions as well as many other service guarantees. With 10 years in business and tested cleaning, sealing and concrete restoration techniques, we are confident we can exceed your expectations. If you’re not completely satisfied with your service we will make it right. We stand behind every single one of our jobs and guarantee the results we promise. We’re a family-owned and operated business that employs highly trained technicians. We ensure our team is trained on the best techniques and safety protocols, and provide insurance and liability coverage to ensure the safety of our team and our customers. Our team is also easy to reach. We answer the phone and make ourselves available to easily schedule work or answer your questions! Indiana Cleaning & Sealing is a concrete beautification company. We specialize in concrete & hard surface sealing and restoration as well as exterior cleaning services for residential and commercial properties. 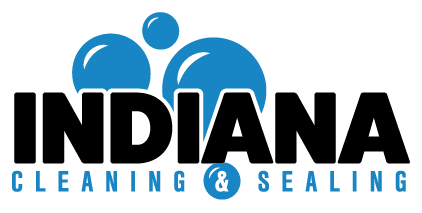 Established in 2008, Indiana Cleaning & Sealing is a family-owned and operated business located in Indianapolis, Indiana. We proudly service Central Indiana. The Indiana Cleaning and Sealing difference is our commitment to our customers. We stand by our work, and have the resources to get the job done the right way. WANT TO TALK ABOUT YOUR CLEANING OR SEALING PROJECT?